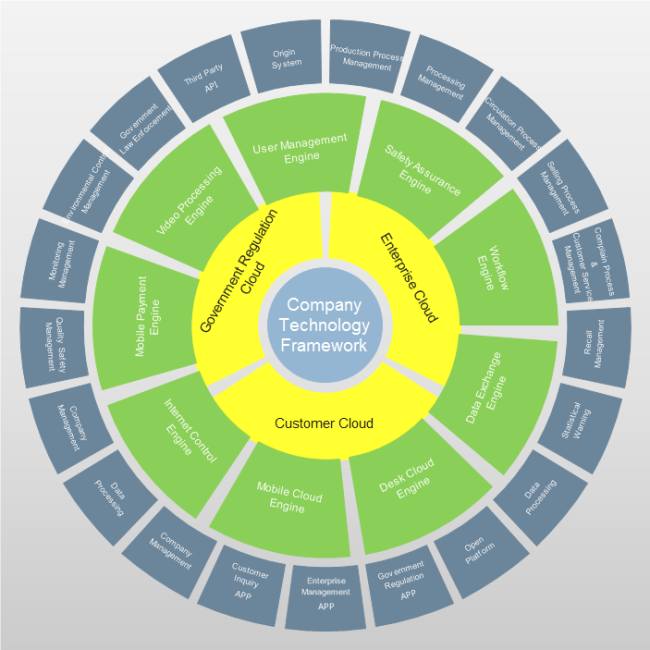 Description: Here is a company framework circular chart template available to view and download. Though looks complicated, it's not difficult to make with Edraw. By using existing template with action buttons on setting the segments and styles, you can finish the circular chart extremely fast. Abundant and various circular templates are assembled on the sharing community, which are downloadable, editable and customizable. Post your own creative circular diagram designs to inspire other users.